Islands ACE Hardware locally owned established in 2007 by Randy West is located on Wilmington Island servicing Savannah and the surrounding Islands. Our Hardware store strives to offer customer service that exceeds any hardware or home improvement store in the region. We offer a great selection of merchandise that includes paint, gardening equipment, plumbing and electrical supplies, key and glass cutting, home handyman tools, house wares, extensive lawn and garden supplies, pool supplies and other items for your home, including a clothing and gift department. As a member of the nationwide ACE Hardware group of independent hardware retailers our mission is to deliver value-priced products with the highest level of customer care. 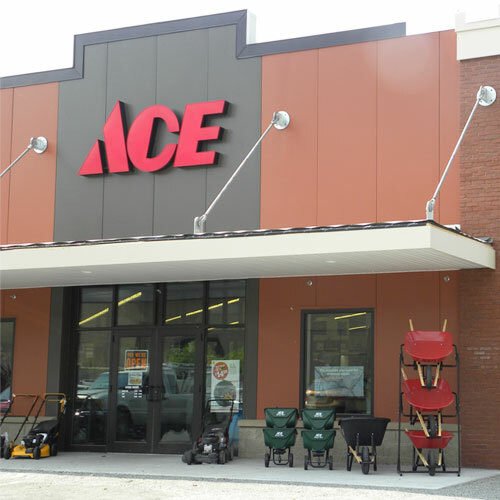 The Wilmington Island store is one of over 5,000 ACE hardware stores across the nation. Exclusive prices for Ace Reward members. 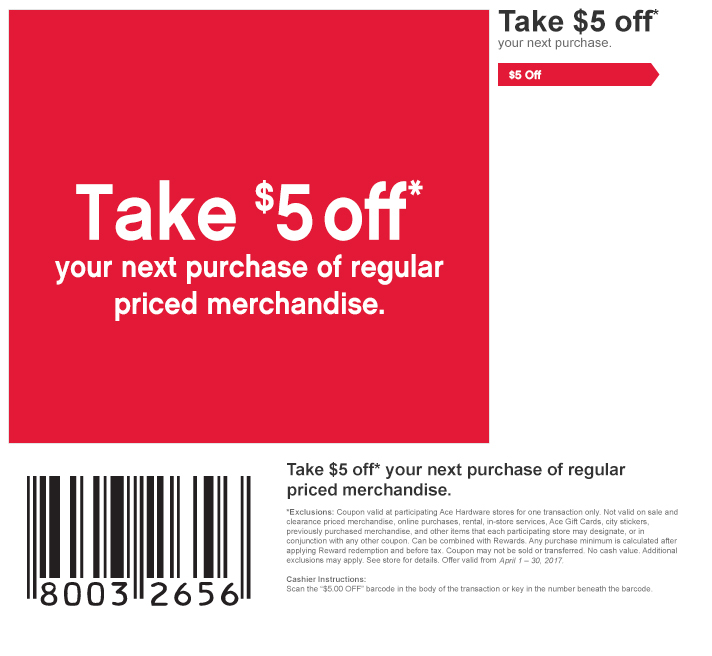 If you want to save money, this is the way to do it! The neighborhood store winning the title of "state Champion" of the network. Sales associates are responsible for providing legendary customer service. They offer the solutions to the customers needs. Every Ace team member is expected to pledge to keep the customer first and foremost regardless of his or her job. Prior retail and/or hardware experience a plus. Part time. Ace associates are responsible for providing legendary customer service. They offer the solutions to the customer needs. This is especially true in a large paint department. The right person will have a background in all aspects of paint selection, mixing, stocking and inventory. Part time employee needed to assemble grills, wheel barrows, patio furniture, etc. Should be familiar with hand tools and able to lift up to 50lbs. The right candidate will have agility and the ability to perform duties efficiently. Part time position available for individuals with small engine repair skills to work in our Stihl repair shop. Training available to the right person. Cashiers exemplify the foundation of our service to each customer as they enter and leave the store. Every job within Ace ultimately impacts the customer directly or indirectly. Customers are the reason we are here; without them we wouldn't be. Part time. Part time garden associate with basic plant identification and plant care skill needed. Familiarization with fertilizers and chemicals a plus. If you love working outdoors, can lift up to 50 lbs and don't mind the summer heat or winter cold, this could be the job for you. Training is ongoing.